What exactly does Donald Trump think he’s going to do? Invade a country that will be met with hellfire and brimstone? He, like John Bolton, and so many U.S. citizens live with the idea that our military might is all-powerful and can not be defeated. But despite all of our strength, we’ve had our asses handed to us on many levels during, and since, the Vietnam War. Think about it. We’re now negotiating with the Taliban for a peaceful resolution in Afghanistan. The same Taliban that was once considered complicit for the 9/11 attacks by helping Osama Bin-Laden. The same Taliban who we were led to believe were one and the same as Al-Qaeda. The same Taliban that slaughters women and doesn’t allow girls to be educated. The very same Taliban that rules with an iron fist using their own brand of Sharia Law. Sounds like we’re taking the “L” on that one. If you thought we didn’t negotiate with terrorists, you would oh so wrong. We have and still do negotiate with terrorists, dictators, and despots. Just look at what’s happening today in Vietnam. And we already know how Donald Trump feels about people like Kim-Jong Un (hint: he wants to be him). Here’s the thing. In Venezuela, hyperinflation is insane. Yes, people are poor as the nation struggles. There are many needs in Venezuela. Venezuelans would most certainly benefit from the aid that’s being offered. To what end though? Why now? Why not when we began to try and starve Venezuelans years ago? If you’re wondering why many aid groups such as the Red Cross (among many others) don’t want to get involved in providing aid, this is why. What’s in the aid that Venezuela isn’t letting in? A USAID press release explains that the plan is to supply Venezuelans with vegetable oil, flour, lentils and rice which they claim will feed 5,000 Venezuelans for 10 days. That bridge you keep seeing in the media? Yeah, that’s been closed since 2016 due to border disputes between Venezuela and Colombia. What’s happening today is the culmination of years, decades of U.S. sanctions and blockades. Of tightening the noose because we didn’t like their brand of governance. Because it largely cut the United States off from all of Venezuela’s resources. And like the opiate-addicted U.S. is when it comes to resources, we were pissed at our dealer and couldn’t handle the withdrawals. So we began to wean off as the only nation still paying cash for Venezuelan oil, thus further crippling the nation while slowly starving its people. Sure, corruption is out of control in Venezuela and the consolidation of wealth is unimaginable. Until of course, the United States takes a look in the mirror. I mean, really. How different are we from them? How different is Trump or any other U.S. politician from Maduro? Truth is, we aren’t any different. The United States has millions of children that live in poverty and starve every single night. We have millions of homeless, many of them Veterans, that die in the streets from exposure, starvation, and poor health. We torture people every day in our jails and prisons. We allow for state-sponsored murder to occur on our streets and most Americans don’t even bat an eye at any of this. NOW we have the audacity to tell other nations how to act after we caused them so much harm? Are you kidding me? Now U.S. citizens are looking to justify a war that will kill countless lives? How many did we kill in Iraq? In Afghanistan? In Syria? In Yemen? What about Vietnam? Yeah. Remember that? Many of those soldiers died on our streets after the war too. Do you want to know what will happen if we went to war with Venezuela? We’ll topple the dictator in a matter of days. Maybe months. Then what? Sectarian violence and civil war. Do you think Guaido is so innocent? News flash: he isn’t. In many ways, he’s worse. His appointment of several envoys, who were living in exile for terrorism and corruption, is quite telling in itself. His family being prosecuted for corruption after being assigned high ranking positions by Hugo Chavez in Venezuela’s nationalized oil company is also telling and plays a role in how Venezuela ended up where it is today. Then there are the “protestors” backed by Guaido’s opposition. 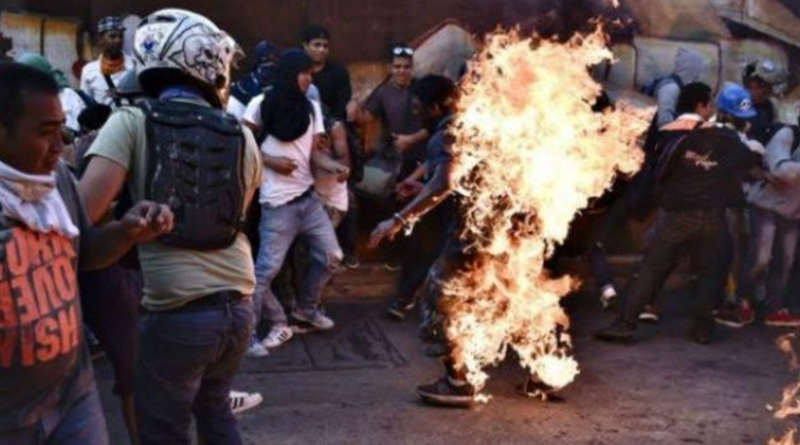 Murdering and lighting afire Black and Brown Venezuelans accused of being “Chavistas” or “thieves” by opposition militants in the streets to much laughter. All things the U.S. media conveniently ignores. The most emblematic of these cases was the public lynching of Afro-Venezuelan Orlando Figuera on May 20. Figuera was stabbed six times, doused in gasoline, and burned alive by opposition protesters in the eastern Caracas neighborhood of Altamira. He died in the hospital ten days later. 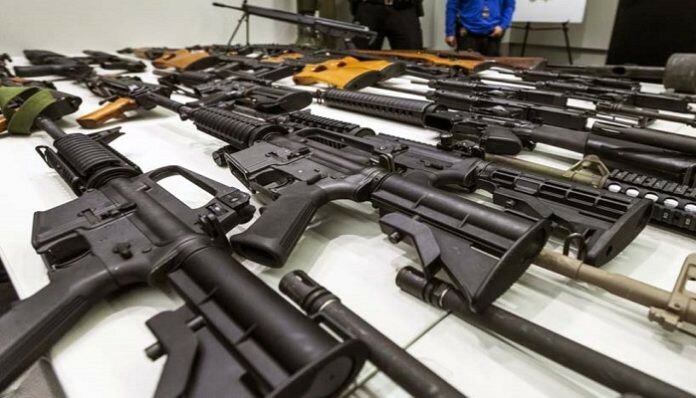 Other prominent cases include that of Danny Subero, Pedro Josue Carrillo, as well as a pair of youths in Lara state, as reported by Bolivarian University Professor Chris Gilbert. A war with Venezuela will prove ineffective. There are many factions, guerillas, terror groups, and militias in surrounding countries that would defend the country against United States imperialism at all costs. Whether they like Maduro or not, they hate U.S. interventionism even more. After all, it’s our brand of interventionism that led to the starving of many people in many Latin America countries throughout history. No, Guaido is no better. But he serves U.S. interests, so there is that.